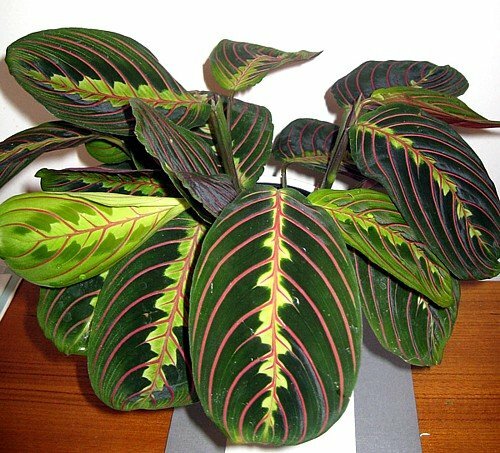 Every evening the leaves of the prayer plant fold heavenward, just as hands in prayer. They are an old-time favorite because of this unusual habit and also for their ease of care. They are surprisingly easy and forgiving. If in good light they may occasionally produce small white or lavender flowers.